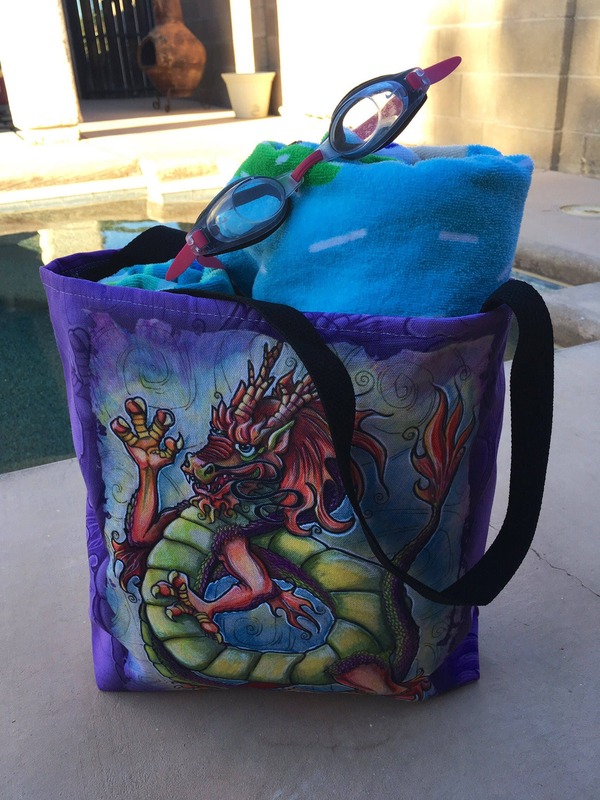 Medium Sized Canvas Tote. 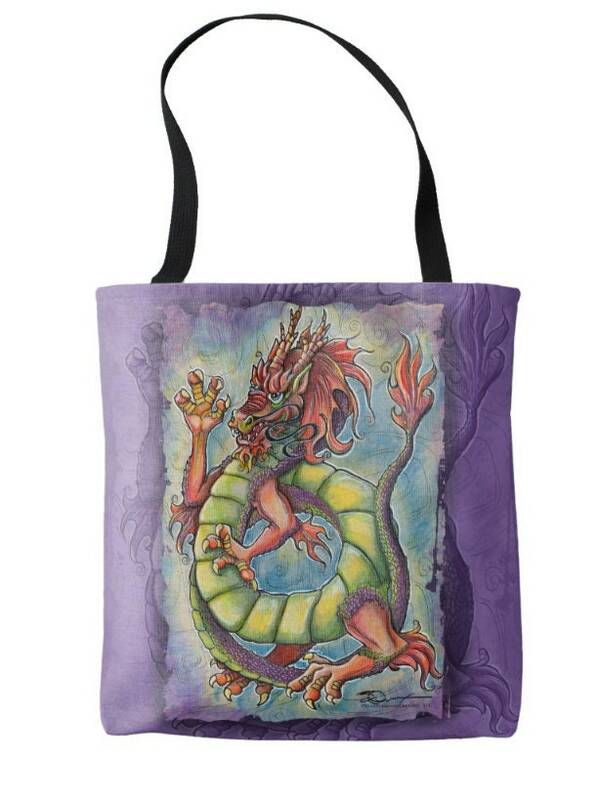 Rich and vibrant color with my artwork Chinese Dragon design by 3QuarterMoon Creative, LLC. 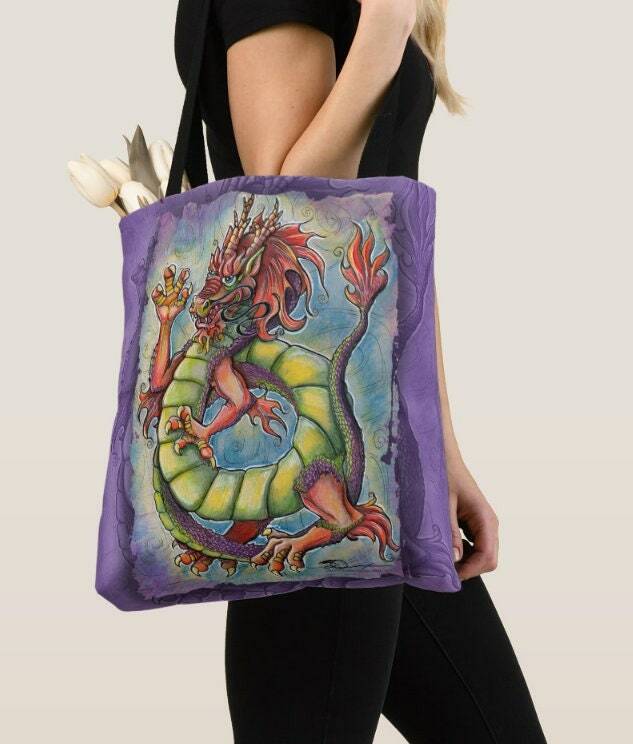 Beautiful and durable canvas tote, Women's Tote, Beach Tote, Beach Bag, Student Tote, Yoga Bag, Everyday Tote with vivid Chinese Dragon print on one side. 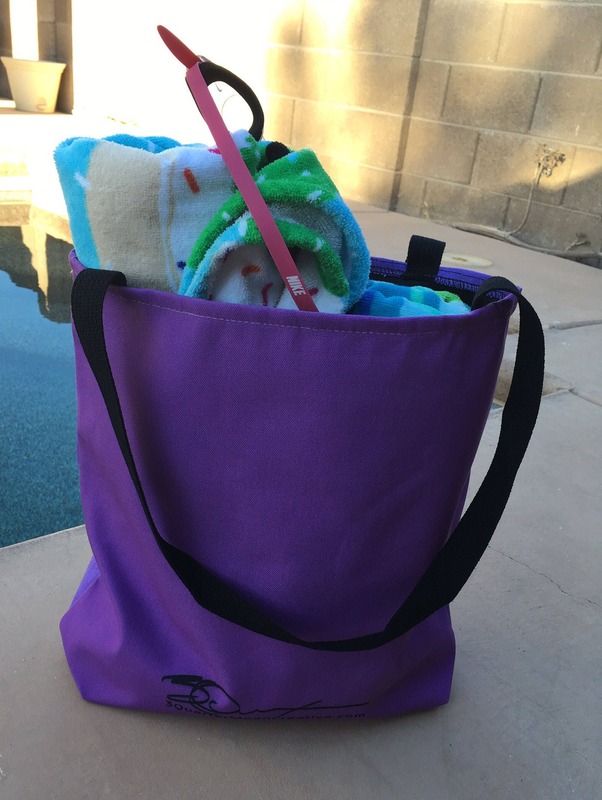 Carry odds and ends, shoes, change of clothing, groceries, beach towels, sunscreen, flip flops, sunglasses, makeup, school books. 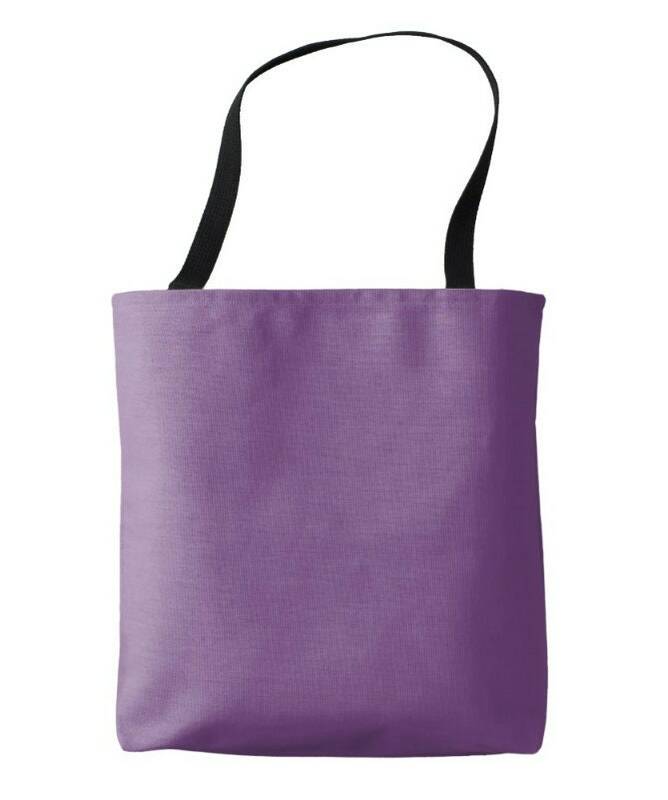 Use as an overnight bag, grocery bag, office tote or everyday bag. • Dimensions (empty) 15" x 15" x 4"
Original art by 3QuarterMoon Creative, LLC. 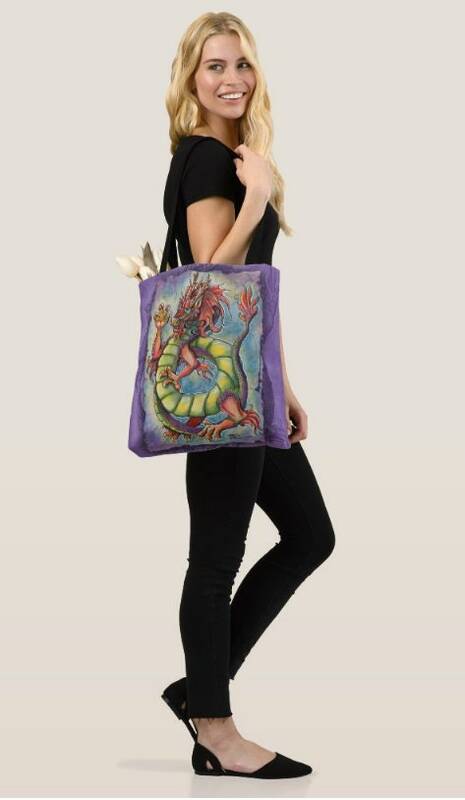 Would make a great gift for fantasy, Chinese astrology or simply a lover of art! A yoga lover or student would like it, too.